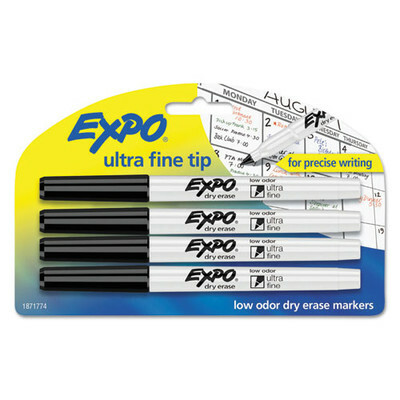 EXPO Low Odor Dry Erase Markers use a specially formulated, alcohol-based ink with virtually no odor. The markers feature vivid ink that is quick-drying and easy to see from a distance. These dry erase markers write on whiteboards, glass and most non-porous surfaces.